The Andalusian city of Cadiz is located near the southernmost tip of the Spanish peninsula, almost surrounded by the Atlantic Ocean. It is considered one of the oldest cities in Europe. The endless sandy beaches and typical white washed buildings bask in long, hot Spanish summers. 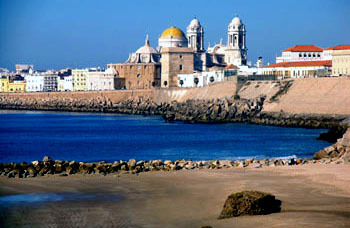 Cadiz maintains an enchanting feel of 'old Spain', small terrace bars and cafés line the cobbled and winding streets. Flamenco dance and music are an important part of the culture. The people, known as 'Gaditanos' are genuinely open and friendly. So this relatively small city is a welcoming and warm setting to learn Spanish. Don't miss the activities and excursions to the world famous Cádiz carnaval! 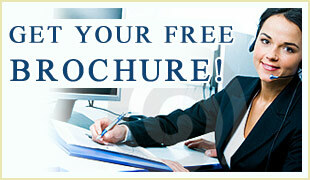 The Spanish language School in Cadiz is located in the picturesque historic quarter. A short walk from both bus and train stations making travelling within Spain easy. Along the pedestrian only street you'll find everything you need: shops, markets, stalls and restaurants.